Air conditioners make up around 50% of your home’s summer energy usage! These 6 DIY tips will help reduce your home’s AC energy consumption while still keeping the house cool and comfy all summer long! HOUSTON, TX, August 23, 2017 /24-7PressRelease/ — It’s hot out there and that can only mean one thing – higher electric bills from running the AC system. Every year it seems your AC system and the Sun are in a constant battle over who gets to dominate the temperature within your home and this mutual dispute always somehow ends up in your lap at the end of the month in the form of a large utility bill. But does it have to be this way? During the summer months running the air conditioner can account for half of a home’s total energy consumption. There’s plenty of costly solutions to reducing AC energy consumption out there such as re-insulating our homes or installing solar screens on top our homes windows. But what are a few cost effective tips and tricks to cool off our homes and our utility bills that homeowners can do themselves and not have to spend a fortune on while doing so? A) Allow our AC system’s to easily remove heat from our homes so our AC system isn’t running more than it should be. B) Prevent heat from entering our homes and building up within our homes so our AC systems don’t have to run all the time to remove it. So lets explore 6 cost effective DIY tips and tricks for keeping the heat out and the cool air in and reduce our AC energy consumption and our utility bills along with it! You’ve probably heard this before, but air conditioners have a big job to do and work a lot to remove the heat out of your home’s air and it all starts will pulling all your home’s hot air through those tiny air filters. If your air filters are clogged then your AC system can’t pull your home’s hot air through them easily, which means your AC system can’t remove the heat from your home’s air easily so it’s going to run longer in order to do so. This all translates to inefficient AC operation and longer AC run times for the entire AC system because a dirty air filter is blocking the system from easily accessing and removing the hot air from inside your home. So change those air filters monthly and reduce AC system run time and energy consumption along with it! Since AC systems remove the heat out of our homes, they have to transfer all that heat they take out of our homes somewhere, right? AC systems like to pull the heat of your home’s indoor air and dump all that heat outside, where you don’t notice, and this is the role the outdoor unit plays in this entire process. Just like your air filters, it’s important to keep your home’s outdoor unit clean and free of dirt and debris so the outdoor unit can easily dump all your home’s heat to the outdoors. Have you ever felt the hot air being blown out of the top of your air conditioner outside? That’s all the heat being taken out of your home and blown outside! This process all starts with keeping the outdoor unit clean so that the outdoor fan spinning on top of the air conditioner can easily blow the heat out your home. When your outdoor unit is dirty, heat isn’t being removed from your home as easily as it should be. So the heat backs up inside your home and increases your system’s run time and utility bills along with it! So turn off the breaker to the air conditioner, grab a water hose with a good spray nozzle, and rinse all the dirt and dander off the metal fins of the coil that surround the the outside unit and allow your air conditioner to easily transfer the heat out of your home so it doesn’t have to run nearly as long! 3) Seal Air Leaks and Fix Collapsed/Crushed Ducts. OK, so your air filters and outdoor AC unit is clean, but there could be broken ducts or even crushed or collapsed ducts that are preventing your AC system from removing the hot air out of your home or delivering the cool air to the rooms in your home which will result in longer AC system run time. Sometimes ducts get old and fall apart, split open, or get torn into by rodents in our attics. Other times we unknowingly crush them when we are moving things in and out of our attics. Get a flash light, a roll of duct tape, and start examining your AC systems duct work and feel around for air movement and look for air leaks. If you find any holes or air leaks, tape them up with your duct tape. If you find any crushed or air-flow-restricted ducts, do your best to remove whatever is crushing the duct and return the duct to it’s original round shape so air can easily pass through it. Once the air is properly being delivered and removed to and from the proper areas in your home, your AC system will thank you by not running nearly as often! If you’ve ever heard the weather anchor on the news discuss the Heat Index, you probably realize he’s referring to ‘the way it actually feels outside’ when you combine and factor in both the Air Temperature and the Humidity Level into ‘how it actually feels outside’. Since air conditioners are designed to reduce the air temperature within our homes, they don’t do so well when it comes to reducing the temperature of water moisture, AKA humidity. Humidity is just another factor of heat that greatly increases the run time of any AC system because AC system’s cannot easily remove heat from the humid moisture within the air in our homes. Since showering introduces a lot of heat in the form of humidity into our homes it’s important to run the bathroom exhaust fan whenever someone is taking a shower – Bathroom exhaust fans help remove all the hot and humid air out of the bathroom so your AC system doesn’t have to! Remember: Humidity is nothing more than water that contains heat and it’s much harder (requires more AC system run time!) for your AC system to remove heat from the water in your home’s air than it is from the air itself. If you haven’t found a reason to make the switch to LED light bulbs, now is a really great time and your AC system is going to thank you when you do. Incandescent and other older styles of light bulb styles not only consume more energy during operation, but they put off a lot of heat! Which means all the heat coming from those older light bulbs adds to the heat load in your home, which means your AC system has to run in order to remove that heat from your home. New LED light bulbs are a quick, cheap, and effective way to reduce AC system run time. Not only will they save you money by reducing energy consumption from the bulb itself, but they reduce the energy consumption of the AC system by not adding heat to your home which reduces your AC system’s run time, and they last 10 times longer than other styles which means you don’t have to pay to replace them nearly as often. Smart thermostats are, well, smart! These thermostats all come with unique energy saving features and sensors that give you more control over how your AC system runs, allowing you to really optimize and take advantage of efficient AC system operation. With a smart thermostat you can expect around a 15% energy savings alone just by optimizing how your AC system operates and when is the best and worst times for the system to run. 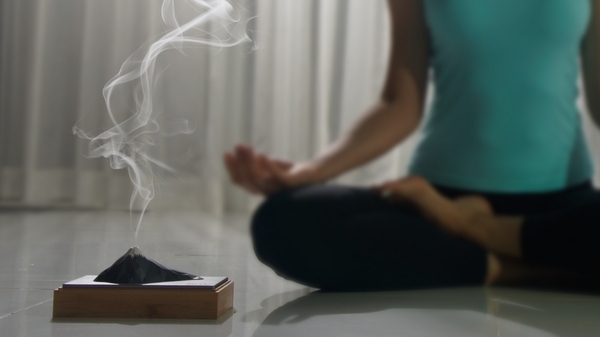 Every smart thermostat manufacturer has their own unique energy saving methods and factors they take into consideration when it comes to optimizing AC system operation – Some come with wireless sensors, some detect when your home or away, some factor in humidity levels, and some even factor in the outdoor temperature. Since every smart thermostat bran is different at just how they save you energy, it’s important to do a little research on the one your interested in and examine how they work and just what the smart thermostat manufacturer is promising you in the form of energy savings. These thermostats can be picked up at most hardware stores and installed by most homeowners themselves (just make sure to read the manufacturers instructions and turn off the power to the AC system before installing!). 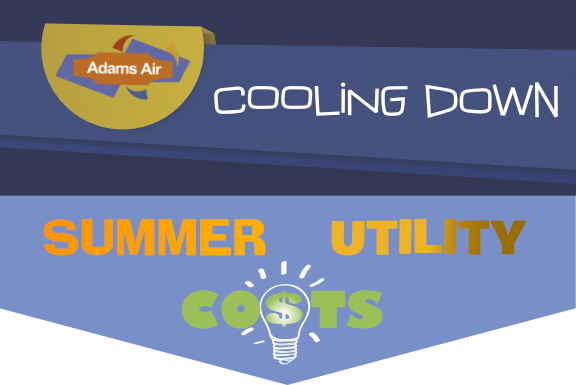 So start optimizing your AC system’s run time and start saving on those summer utility bills! Adams Air Conditioning is a family-owned and operated AC repair company based out of Houston, TX. We believe in helping our community by providing and fostering an Open HVAC mindset that includes sharing free HVAC insight and knowledge with our community in hopes of furthering HVAC awareness and HVAC technologies so people can share what they’re passionate about too while also supplying HVAC repair services where licensing and regulations are required. For more HVAC troubleshooting help, tips and tricks, free HVAC diagnostic apps for android, or information on Adams Air Conditioning’s local Houston HVAC services, visit https://www.adams-air.com/houston/ | Email: Adams Air Conditioning | Phone: 281-677-2526 | LIC#: TACLB9265E.